Jin Chieng Seng has a good reputation for their Pad Thai, so of course I had to try it as I was in Bangkok’s main temple area (Dusit). And it didn’t disappoint, the Pad Thai was tasty and well made with fresh prawns, one of the best I’ve had when talking about full-fledged restaurants in Bangkok. The food in general seems to be made with western taste buds in mind, but without loosing the “balance”. A perfect spot to relax and eat some very good food for lunch after the must visit Wat Pho near by. The noodles are cooked correctly, and the egg, the prawns and the been sprouts are all very good. But that said, it’s not in the same league as Orawan in Sri Yan with it’s marvelous tamarind mixture and a few other street stalls around town. But please don’t get me wrong here. It’s a well made and tasteful Pad Thai with air con and some comfort to join as a good bonus. Of course you have plenty of old school vendors specialized in Pad Thai that are better, and Jin Chieng Seng is not trying to compete with them. 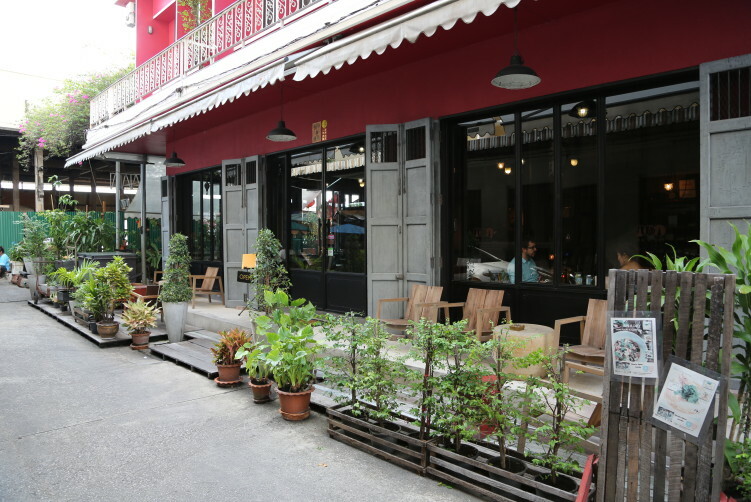 It’s a full fledged restaurant with an extensive menu to cater for tourists and not a shophouse vendor or a street stall specialized in one dish only. I would be more than happy to eat my Pad Thai again at Jin Chieng Seng, a restaurant in the Inn a Day hotel. 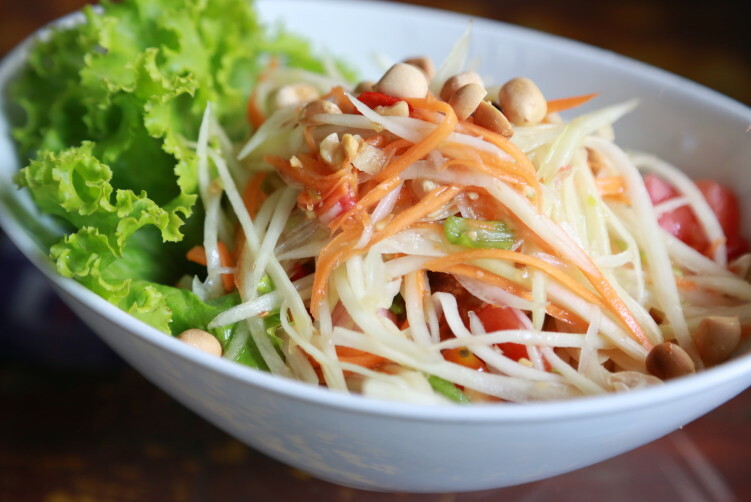 I also ordered a Som Tam Thai salad (green papaya salad). My first reaction was that it was served without the dried shrimps that it normally comes with, and which I really would have liked to have there. But again, it was a good and flavorful dish, not Thai spicy, but good enough. And I really love the crunchy texture in Som Tam dishes, together with the hot, sour and salty dressing. The chef at Jin Chieng Seng obviously knows his game, and is able to balance the acidity, the spiciness, the saltiness and sweetness. I’m pretty sure the Som Tam at Jin Chieng Seng fits the palat to quite many tourists, even if it still will be rather spicy, but then in a more addictive way. Locals would probably get it more spicy without even asking. If you can take the real thing tell them, which I forgot to do, and I’m sure they will make it. The dried shrimps was probably also left out due to the fact that I’m not Thai, and many westerns are for some reason a bit skeptical to these small but tasty bastards. The exterior of Jin Chieng Seng. Jin Chieng Seng are able to create very good Thai food, including the more “spicy” dishes without making them to spicy for the number of tourists getting into panic mode from the look of some chilies on their plate. That in itself is pretty impressive. They use fresh ingredients and no short cuts. The restaurant is rustic with wood and metal as the dominant factors. It has the a/c going, a factor you really love lunch time, after a couple of hours of cultural exploration in a warm Bangkok. The service is friendly and professional. The restaurant has a charming terrace along the riverside, with a view towards Wat Arun (under restoration). Jin Chieng Seng is also excellent for a sunset drink with the river next to you. 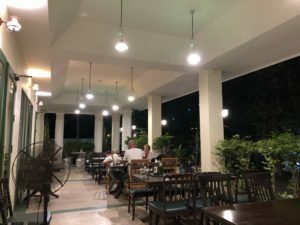 If in the area and you’re not ready to leave the temple and museum area right away, you definitively dont’ go wrong by eating at Jin Chieng Seng. And there isn’t really that many alternatives around Wat Pho who comes up with food this good. 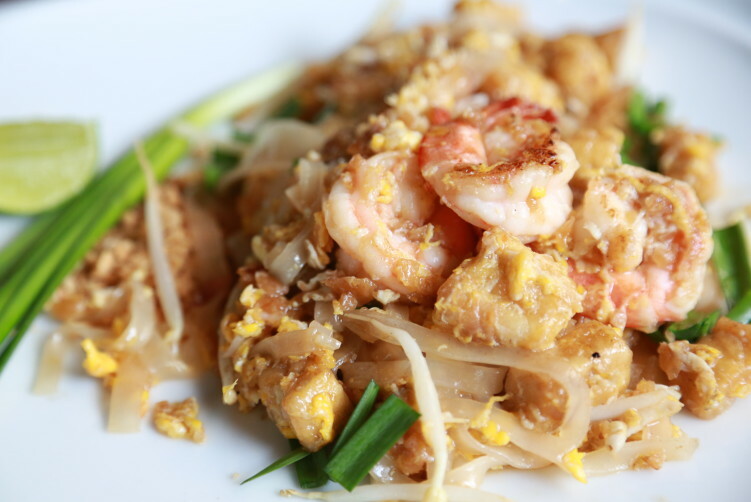 click here Price: Lime juice 80, pad thai goong 120, som tam 80. Very decent prices for a hotel restaurant with air condition. How to get there: You find it in the end of a small alley taking off from Maharat Road. Jin chieng Song are able to create very good Thai food, including the more "spicy" dishes without making them to spicy for the number of tourists getting into panic mode from the look of a chili on their plate. That in itself is pretty impressive. See full review at StreetsideBangkok. 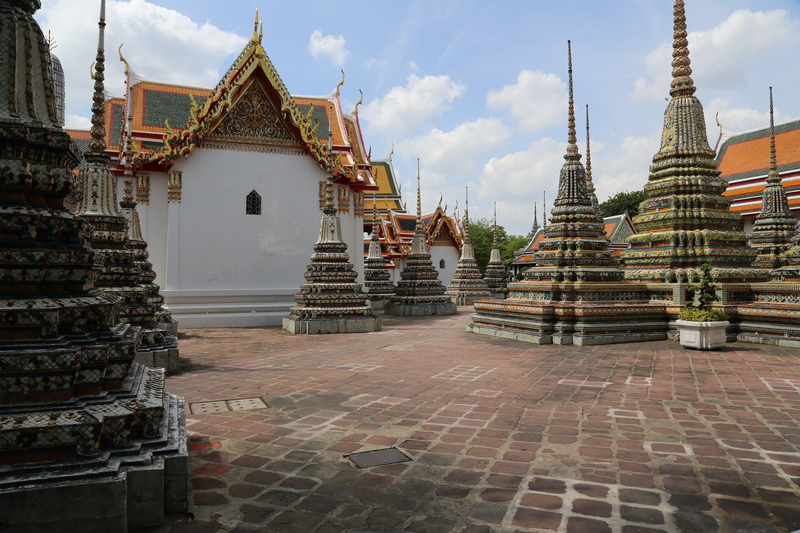 If in Bangkok, you should make an effort to visit Wat Pho before you leave the city. It’s one of the most important sight in not only in Bangkok, but in all of Thailand. It’s also one of Bangkok’s oldest temples and existed before Bangkok was established as the capital by King Rama I.
Wat Pho, also spelt Wat Po, is a Buddhist temple complex, located in the Rattanakosin district directly to the south of the Grand Palace. 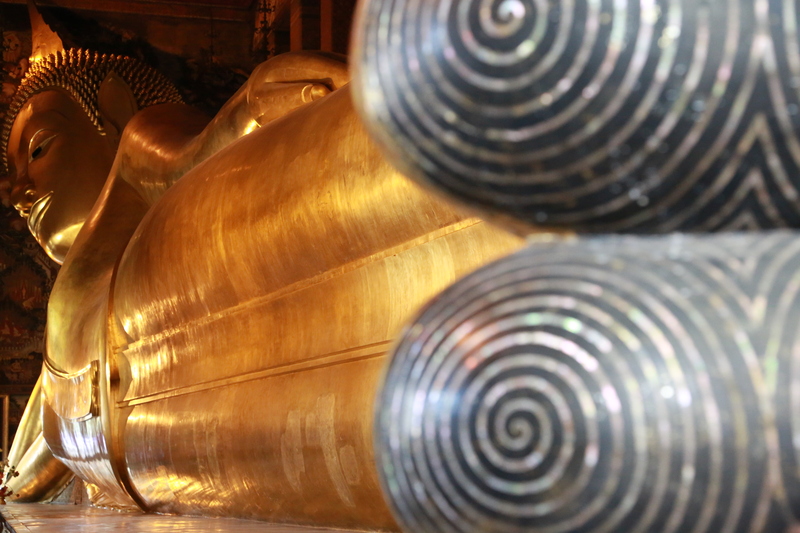 It’s also known as the Temple of the Reclining Buddha. King Rama I rebuilt the temple complex on an earlier temple site, and it became his main temple where some of his ashes are enshrined. The temple was expanded and extensively renovated by Rama III. Today, the temple complex houses the largest collection of Buddha images in Thailand, including the famous 46m long Reclining Buddha. It’s also worth to note that the temple also is the earliest centre for public education in Thailand, and it still houses a school of Thai medicine. Another useful fact is that the temple is known as the birthplace of traditional Thai massage which is still taught and practiced at the temple. You can book appointments there, on the spot. The temple is the first in the list of six temples in Thailand classed as the highest grade of the first class Royal temples. Entrance fee: 100 Bath. Remember to dress conservatively, meaning shorts below your knees, arms covered and shoes removed when entering inside any chapels. Address: Formal address is 2 Sanamchai Road, Grand Palace Subdistrict. Maharat Road is maybe easier to navigate from (closer to pier). Walking down Maharat Road take to the left at the intersection with Chetuphon Road where the main entrance is halfway down the road. How to get there: Boat is the easiest way. Take the Chao Phraya River Express to Tha Thien pier. Walk out of the pier, pass the food stalls until you get to the large road junction, take to the right at then continue for some minutes. It will be on your left side. Tax is normally a bad idea to get her, as you probably will be cuing for a long time. Tuk tuk at the pier will overcharge you.